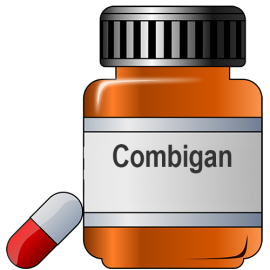 What is Combigan Eye Drops? Combigan Eye Drops is a combination of Timolol and Brimonidine and is an ophthalmic anti-hypertensive. It is prescribed for decreasing pressure in the eye in cases of glaucoma or ocular hypertension. The drug Timolol tartrate is a beta blocker and Brimonidine is a selective alpha agonist. Timolol reduces the pressure by reducing the amount of fluid produced in the eye. Brimonidine allows better flow and drainage of the fluid and also reduces the fluid production thereby reducing the pressure in the eyes. Keep it capped and store at a temperature below 250C. Keep away from kids and pets. Do not share and avoid contamination of the dropper. How to take Combigan Eye Drops? As prescribed by your doctor. Do not instil while wearing contacts. The usual recommended dosage is one drop in each eye 12 hours apart. Wash your eyes with lukewarm water and consult your doctor. Skip the dose you missed and continue from the next dose onwards. Report any allergic reaction. Wait for some time before driving or operating machinery. Inform your doctor of other concomitant drugs. When Combigan Eye Drops should not be used? It is contraindicated in asthma, COPD, AV block, cardiac failure, infants and newborn and in case of any hypersensitivity. How long should you take Combigan Eye Drops? As long as prescribed by your doctor.